Country Park Caravan Park is one of Nelson Parks newest sites which has replaced The Vale of York caravan park (which is now a residential park home site). Country Park lies on the outskirts of Strensall which is only one mile from the park with access to local amenities. 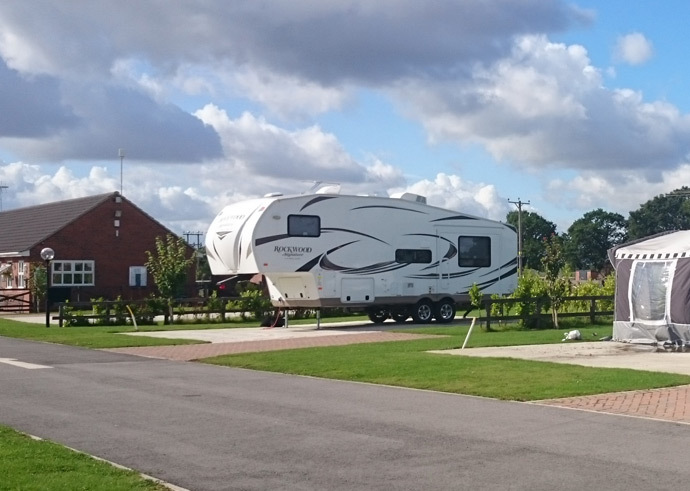 York city centre is a 15 minutes drive from Country Park where you can go and explore the historic city for yourself leaving your caravan behind knowing it is safe with the parks secure entrance gates which are also covered by CCTV. The park has a brand new shower/toilet block with laundry facilities on site. Fully serviced pitches are hard standing with electric, water and drainage supplies to the pitch where as a part serviced pitch is electric hook up only. There are communal water points around the park and all pitches have their own parking space. The park is open from 1st March – 31st October each year and caravans are to vacate the site when closed. However we can offer winter storage (limited plots available) and awnings can be erected for the full season. Winter caravan storage is available. If you do require any further information please do not hesitate to get in touch with our dedicated and knowledgeable sales team. We do hope to hear from you or see you soon.